When it comes to your printing and imaging environment, what you don’t know CAN hurt you. According to Gartner Research, a typical business uses up to 3% of its revenue on printing, and 90% of businesses don’t know how much they spend on document output. 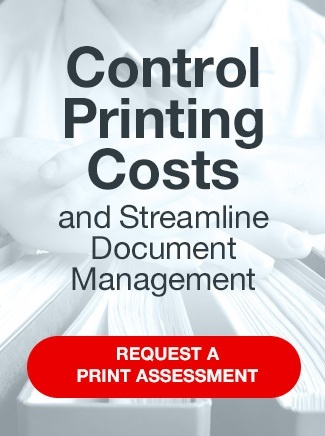 Fortunately, this leak in your budget is easy to plug – with a SymQuest’s Print Management Assessment. How many printers/copiers/fax machines do you have? Is each being used to full capacity and efficiency? How many are leased vs. owned? How many types of toner do you stock? What’s your paper purchase history? How many document equipment contracts do you have? Do you have a network printing plan and an annual budget? We often find that our Print Management Assessment saves clients as much as 30% after an evaluation. Combine those savings with our Print Monitoring Services and Managed Print Services Program, and you plug leaky holes in your budget, increase efficiency and productivity, and enjoy a high-quality final product for the end user.